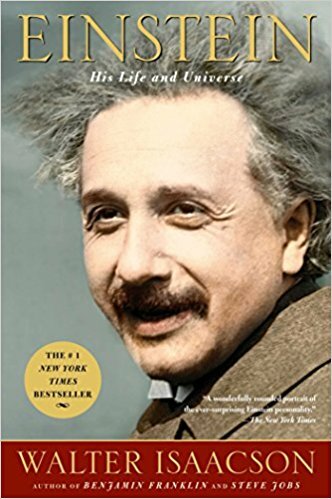 Background: In the middle part of Einstein’s career, though he had laid much of the groundwork for Quantum Theory, he balked at the implications of what was discovered….that there is embedded within the laws of physics an uncertainty that cannot be overcome. I think of it as a mystery that remains beyond all our measurements, calculations, predictions, and perspectives. To me, that is as if an electron has within itself free will. There was one possibility that Einstein simply could not believe: that the Good Lord would have created beautiful and subtle rules that determined most of what happened in the universe while leaving a few things completely to chance. It felt wrong. “If the Lord had wanted to do that, he would have done it thoroughly, and not kept to a pattern…He would have gone the whole hog. In that case, we wouldn’t have to look for laws at all.” The way he said this in an often-quoted statement was “God does not play dice.” But despite all Albert’s protests, what Heisenberg and the Quantum Theorists since have discovered is that the Creator did give us many patterns but left some of what happens to chance. There is built into the fabric of the cosmos an inherent mystery, an uncertainty we are not able to overcome. I will look throughout the rest of this book to see if Isaacson also had this thought: Seriously, my friend Albert, did you never read Genesis? Do you not remember the story about Cain and Abel, the use of the word in Hebrew, Timshel, “thou mayest.”? This is the central theme of the book by John Steinbeck called East of Eden, inspired and written about the concept of Free Will and its ramifications? I ask of you, Albert, did you not follow your own thought experiment to it’s end? Your version (belief in absolute certainty somewhere) would have prevented free will! And if you are God and going to grant TIMSHEL to human beings, would you not also grant it to electrons? Or trees? Or Koala bears? If the ancient Hebrews thought that God set the universe in motion, the experiment of Creation, with the aspect of free will within it, don’t you think the laws of physics would reflect a similar end-point? The Creator most certainly gave humankind free will, and we all can see just how interesting that has turned out to be. Not that I am thrilled; there have been many times when I would have sided with Einstein and hoped that God would have made a world where somewhere there was a perspective of absolute certainty, where actions and consequences were clearly connected, where cause and effect were understood, where everything at some point, some time, would make sense. Long before the Hebrew people put their ideas down for others to read into the future, the Hindus invented the Law of Karma for the same reason. We do struggle with the questions about why people do bad things and don’t get caught and why people do good things and don’t get credit. Even though most people wish they had God in their back pocket, it’s not going to happen. I’m sticking with Heisenberg. The Creator is beyond my reckoning. But I’m in the mix, and I am going to roll with it. I’m happy to tolerate the free will of electrons. I celebrate it. It just takes you to the inevitable place of being present in the time and space of NOW. Bottom line. Be. Here. Now. (Thich Nat Han, along with the great cloud of witnesses that came before him and will follow as well). [i] Walter Isaacson, Einstein: His Life and Universe. Simon and Shuster Paperbacks, New York, 2007. ISBN 978-1-5011-7138-3.